Location and format of ceremony ~ language ~ music ~ readings etc. This is an optional service that can afford you a little extra peace of mind, on your special day. Should you consider including it, you can reserve your date up to one month before your wedding date. Officiate your civil, spiritual and/or inter-faith, unique, personalized wedding ceremony ~ Legally Joining You in Marriage. We are committed to helping you create and experience the ceremony of your dreams. Whether it's a first marriage or marriage after divorce; whether there are religious, ethnic or other differences, we will honor and respect your wishes. We will listen to your needs and desires. Our purpose is to help you experience a unique, personalized, intimate ceremony, that reflects and honors who you are. 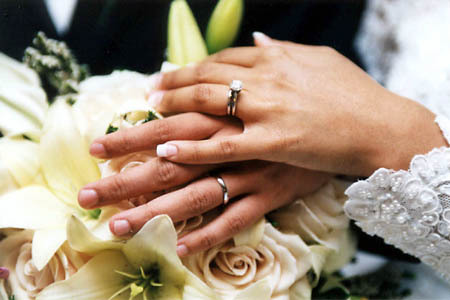 We intend to add to the happiness and the quality of your Special Day.